Big Mama Red (Catherine Woods) is a Chicago-based painter and special effects makeup artist. She studied Interdisciplinary arts at Columbia College Chicago, where she received her Bachelors in 2015. 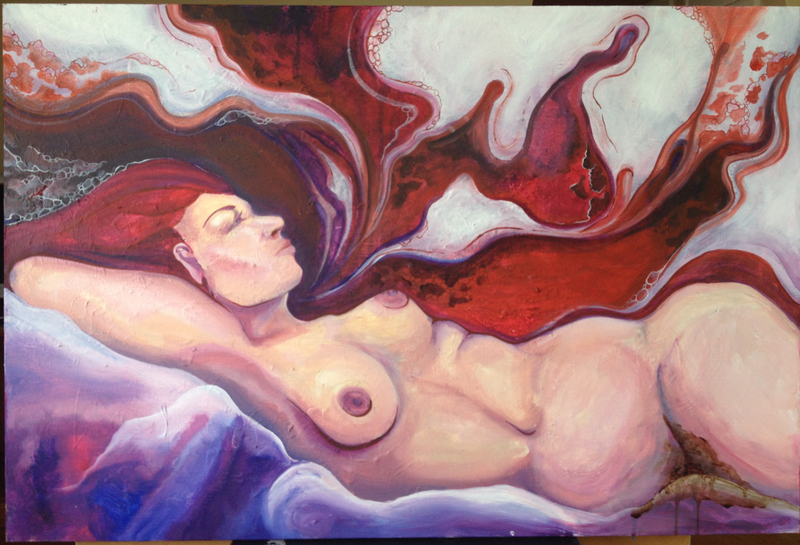 In the studio, she is intrigued by the balance between the beautiful and the disturbed. Her "Blood Magic" series features seven women menstruating and incorporates real female menstrual blood, in an effort to think more about how negatively we see menstruation.